Leaders often find themselves on a painfully difficult journey. They too often give up out of frustration, doubt, loneliness, or simply exhaustion. If we want to change the outcome, … we must disrupt the story. God is all about disruption. So we followed His lead. We set out to wake leaders up and shake them free of crushing expectations, ineffective habits, and treacherous coping mechanisms. It couldn’t be another course, conference, or retreat. It had to be a connection. An intimate experience. An ongoing support network. A band of brothers. It had to be a harbor. 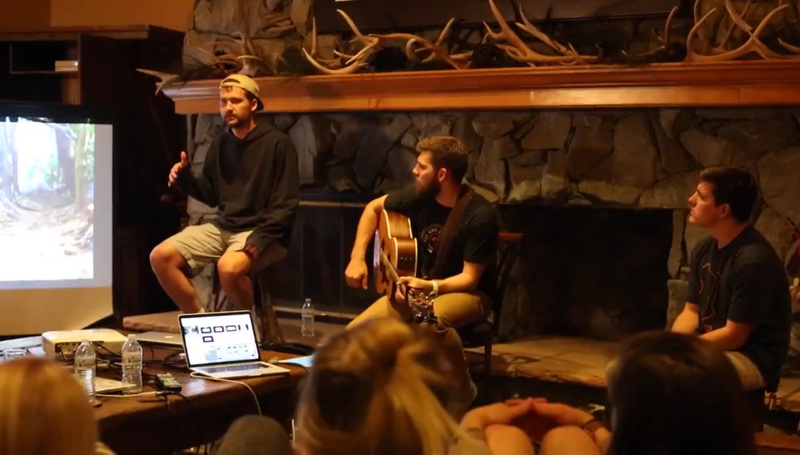 Since 2008, Harbor Ministries has journeyed with 22 different RHYTHMinTWENTY or Rogue groups. These leaders come from more than 40 different states. These leaders have refused to settle and have rebelled against the idea that impact required them to sacrifice their health, their sanity, their families, or their souls. They are discovering how to live with a rhythm that will allow them to leave a legacy and finish well. And along they way they are impacting hundreds of churches and organizations, and tens of thousands of people. And the waves that are changing the leadership narrative have just begun. Three Years. Three Events. 20 Emerging Leaders. Disruption requires space and space requires time. RHYTHMinTWENTY invites 20 high-impact millennial leaders into a three-year experience. During three gatherings over the course of these three years, we show them how to establish rhythm and balance in the face of challenge and resistance. We model how to create resilience and build deep community. We share the wisdom and scars we’ve gathered along the way. Most importantly, we create space where leaders can unplug, unwind, and reconnect with God. Two Years. Two Events. 20 Seasoned Leaders. Most men reach a point when they are told it’s time to coast. ROGUE JOURNEY is an invitation to connect with other leaders who still long for adventure, investment, and impact. At two gatherings over two years, we challenge these ROGUE leaders to step deeper into relationship with God, with their family, and with a band of brothers. We discover together how to write the best chapters and leave a legacy that matters. A two-event journey for young leaders ages 20-26 years old. The Rooted team will invite strategic next generation leaders, both young men and women, into a journey that could have impact on the rest of their lives. This experience will invoke and challenge them to live with a different kind of rhythm, and to begin to lay a foundation that will help them stay the course in their faith and finish well. Change begins with a ripple. That ripple grows to a wave and eventually a tsunami that will alter the outcomes for leaders, families and organizations around the world.